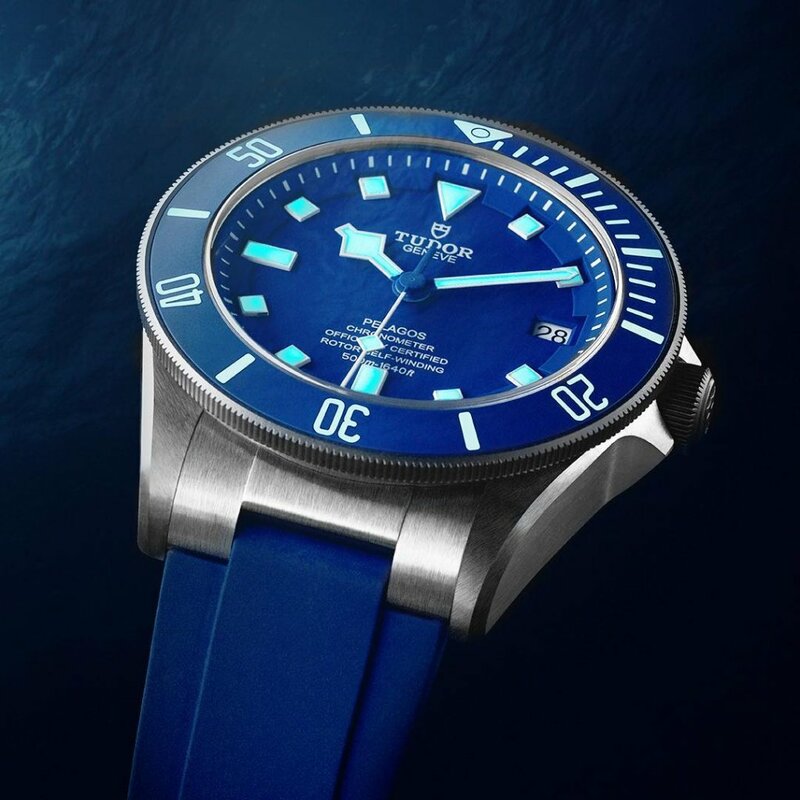 Wilsdorf, the founder of TUDOR, who manufactured his watches to withstand the most extreme conditions. It represents the adventures of the daring individuals, who have achieved the extraordinary with a TUDOR watch on their wrist. #BornToDare is a testimony to TUDOR’s pioneering and cutting edge approach to watchmaking, leading to the brand’s innovations becoming industry benchmarks. experience free-diving. 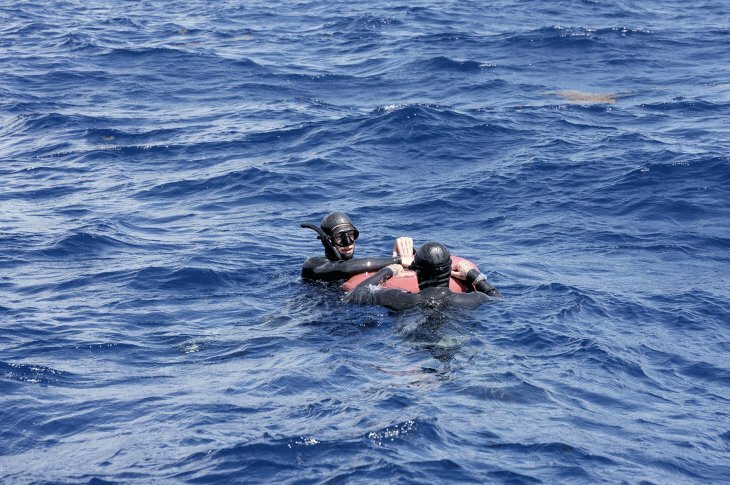 Beckham overcomes his fear and completes a few descents with his dive buddy. “These are the moments when you are born to dare. It is about putting yourself in situations where you face challenge, which I like. Most of the time these situations bring out the best in me” Beckham said of his experience. the French record with -89M, which he improved in 2017 with -90M. 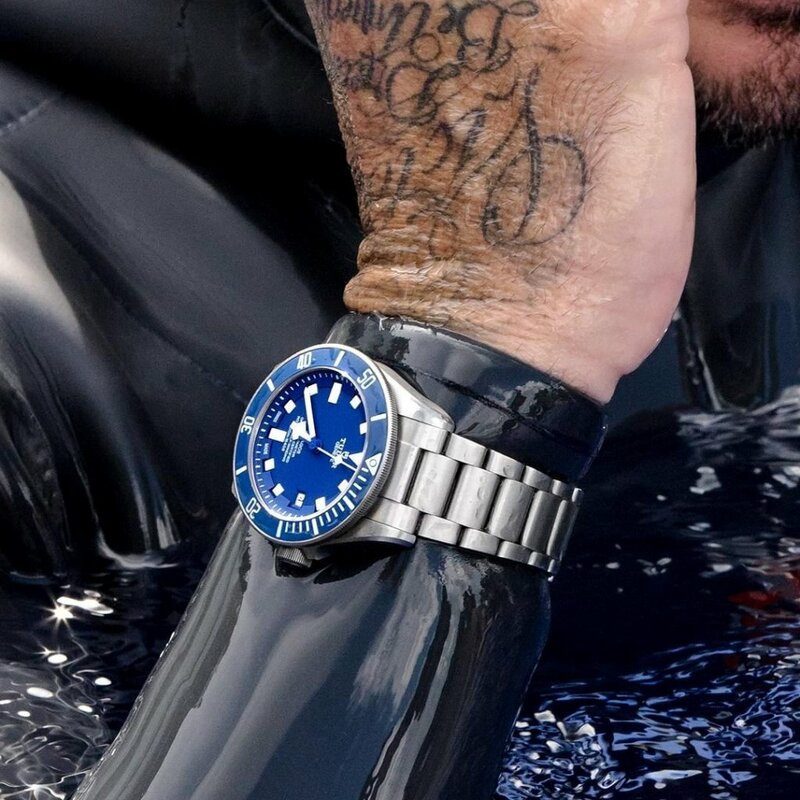 waterproof to 500 meters (with each watch being factory-tested to 625 meters), titanium case and bracelet (40% lighter than stainless steel), patented auto-adjusting clasp, TUDOR Manufacture Calibre with 70-hour power reserve and COSC-certification, helium escape valve and fully luminescent display.